I know a lot of people are still looking for the Engen Extravaganza results 2017, so I did some sleuthing. Yes, the ticket numbers are really small on the artwork. I can't do anything about that. 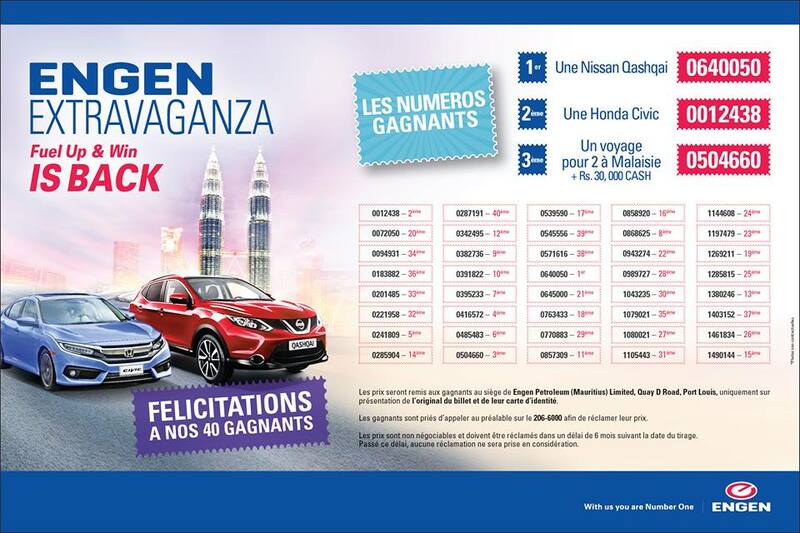 Engen seem to be experts at doing a huge marketing campaign around their extravaganza and being quiet about the lucky draws. The guys at Engen Bagatelle have nothing to do with the marketing and the lucky draw, so don't be dicks. If you have something to complain about, direct your comments to the Engen head office.